Join the Department of Philosophy and Comparative Religion for a talk by Francis X. Clooney, S.J. 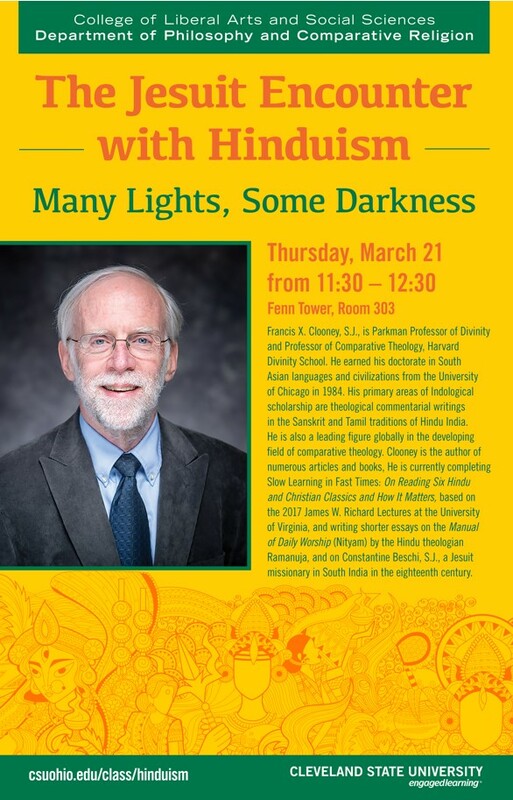 “The Jesuit Encounter with Hinduism” Thursday March 21, 11:30-12:30 in Fenn 303. Join the CSU History Club!